PC43t Desktop Printers are designed to set a new standard in ease of use and flexibility. With one of the broadest feature sets in the desktop printer class, it’s no wonder the PC series is a popular choice for light-duty, desktop labeling tasks. 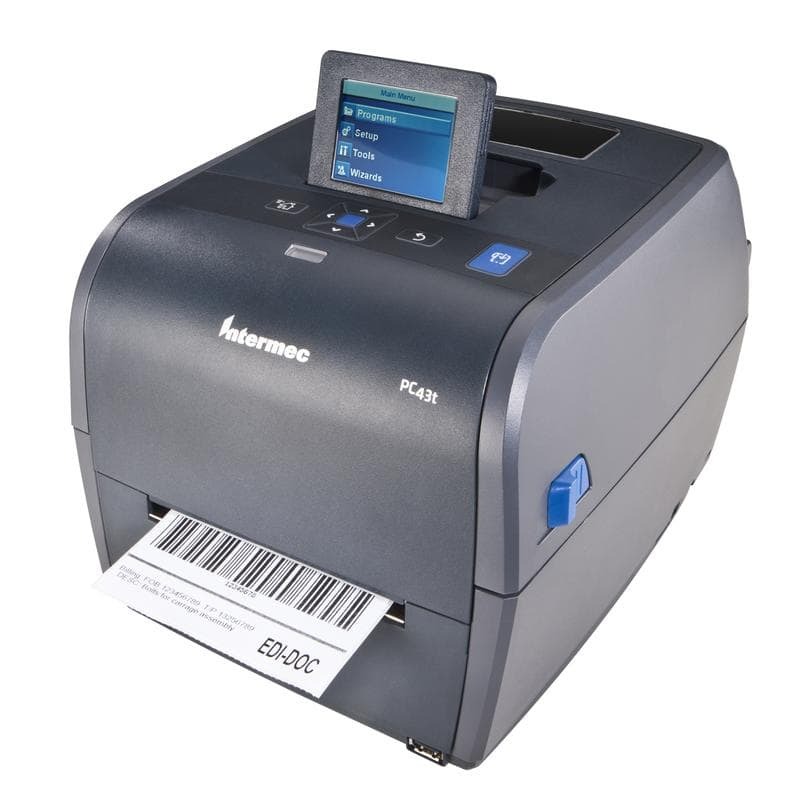 With numerous features typically found in larger, more expensive printers, PC series printers feature a multi-language LCD or icon user interface, user-installable connectivity options and accessories, and speedy label printing. The PC series was designed by users for quick set-up and trouble-free use. The printer adapts to its environment and fits right in with a variety of placement options, including wall mount and battery power. No need to waste time deciphering blinking LEDs – PC printers come with a color LCD in 10 languages or a universal icon interface for immediate notifications that ensure minimal training and support. Configure and update your PC printer on the spot with the USB host port – no computer needed. And one-hand drop-in media loading makes resupply a breeze.